Are you looking to secure devices in a library, restaurant, retail store, or kiosk? 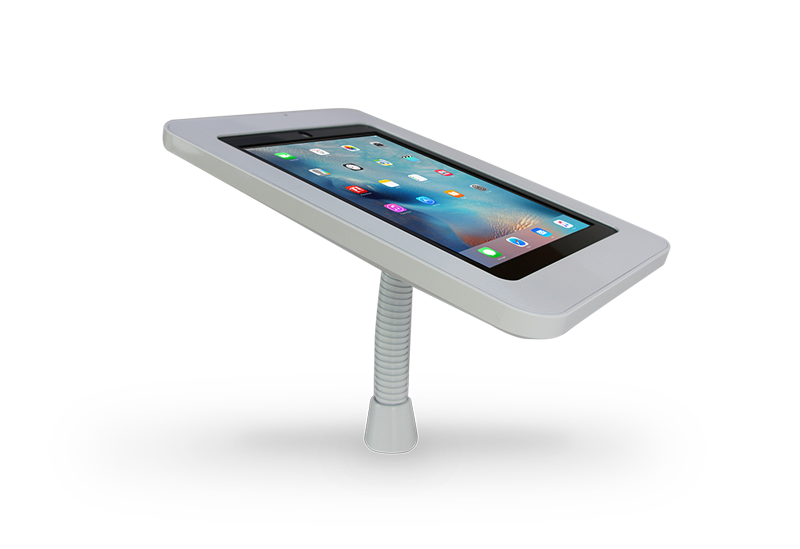 The Gooseneck was created to provide the toughest security protection for your open-display and high-traffic iPads, eReaders and tablets. This solution’s versatile design will fit perfectly into any fixture, or point-of-sale display surface that you desire.